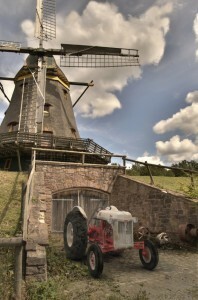 Ford 8n tractor in front of an windmill from the 19th century. Another example of Image Based Lighting (IBL). 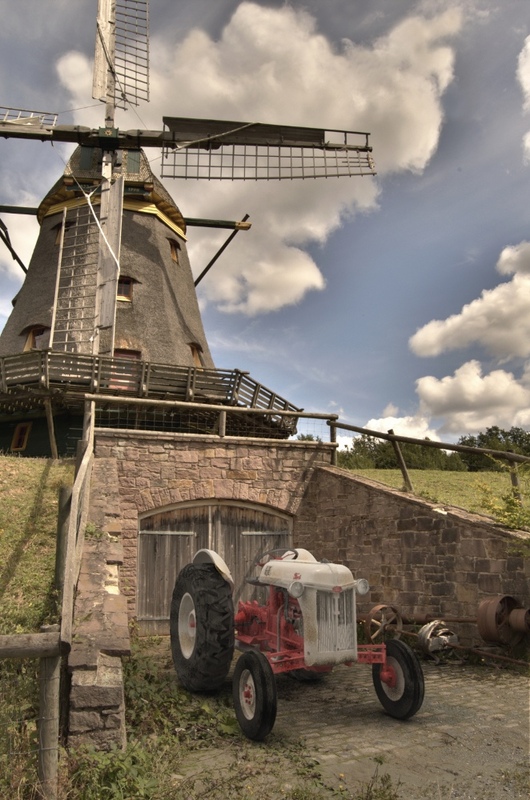 The virtual model of the tractor is placed in front of a backplate taken at the open air museum Hessenpark. 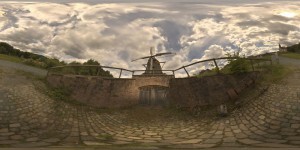 The tractor is illuminated by a panoramic High Dynamic Range Image (HDRI) stitched from 210 single images. For Image Based Lighting Christian Bloch’s concept of Smart IBL (sIBL) is used.